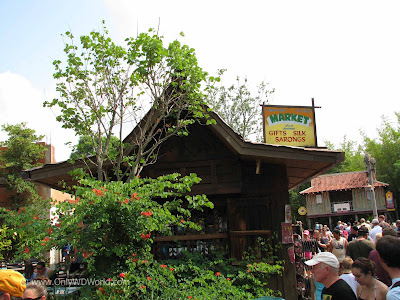 One of the best examples of storytelling by the Disney Imagineers is the creation of Anandapur Township at Disney's Animal Kingdom. 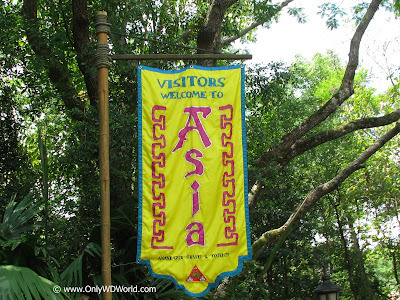 Within this make believe realm, Disney World Guests are immersed in a realistic Asian mountain setting that only exists on the maps within Disney World. 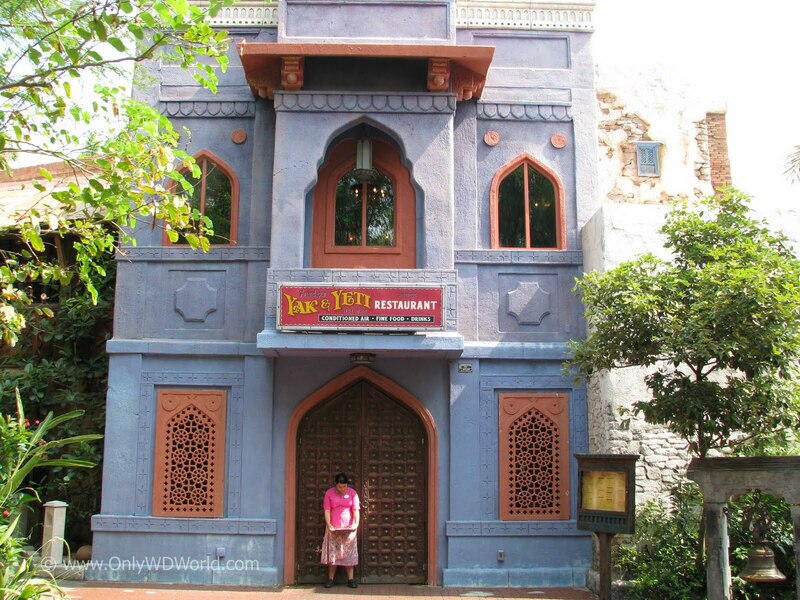 The Disney Imagineers, led by Joe Rohde, did a spectacular job of going way beyond just creating a location for Asian Animals to be viewed. 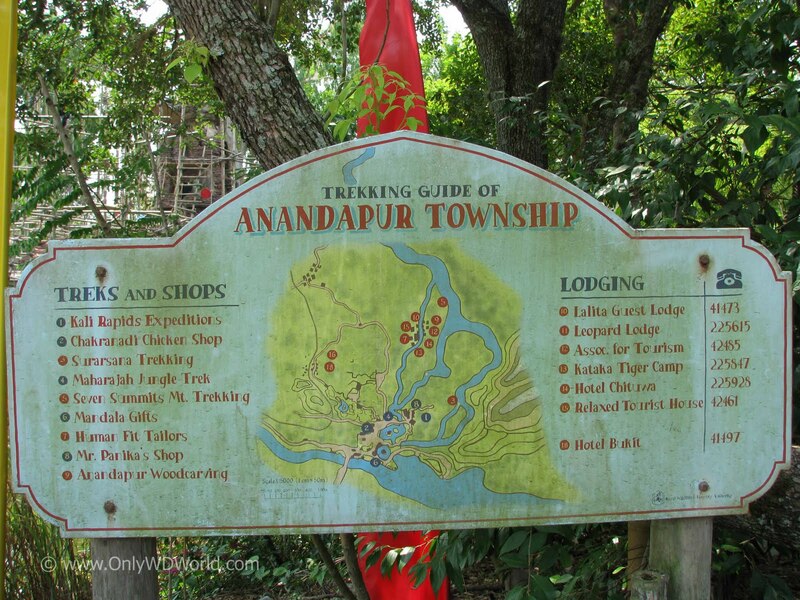 They created a storyline that includes multiple layers about Anandapur, its traditions, its cultures, its architechture, and its people. 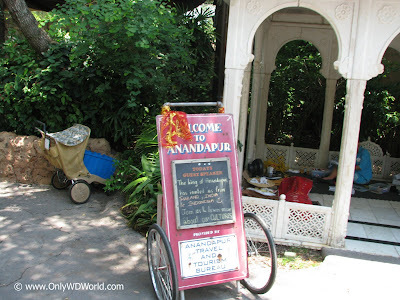 Disney World guests are considered to be tourists visiting Anandapur to check out its sights, and to patronize its restaurants, its shops, and its lodging. 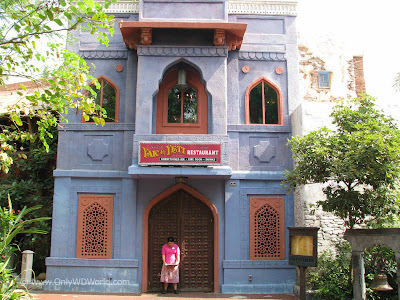 The Disney Imagineers made several field trips to Asia in order to make believable recreations of buildings in Anandapur. Throughout the area you will find authentic items acquired during those field trips to combine the real with the "story." Some of the best "props" that you will see are the plentiful signs. These signs tout the shops, the tour guides, and the lodging that is available in Anandapur. 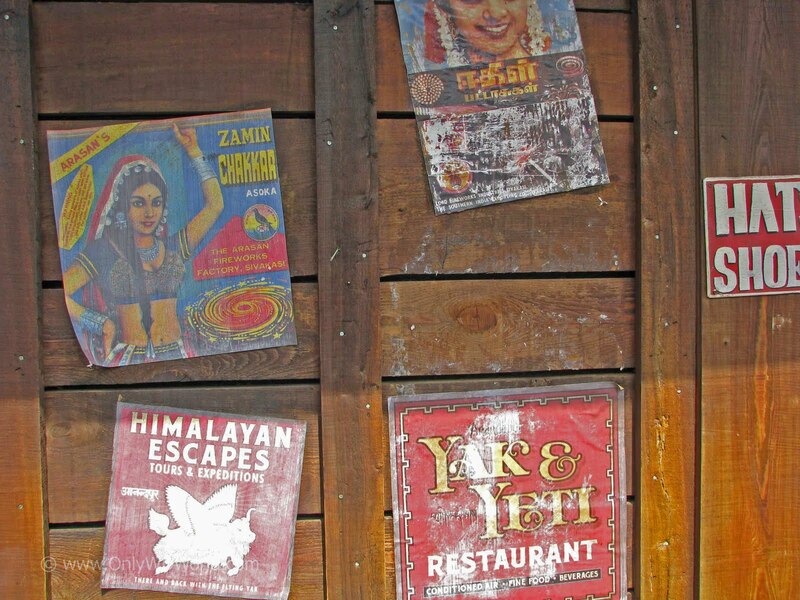 The Yak & Yeti is the most famous restaurant in Anandapur. 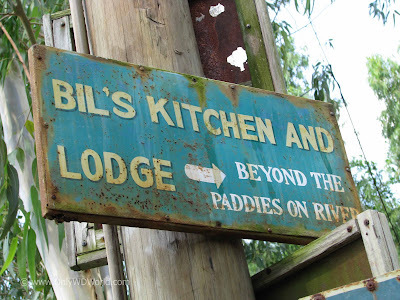 Not only will you see advertisements posted throughout the Township, but you can also visit the restaurant for yourself to sample the fine cooking. 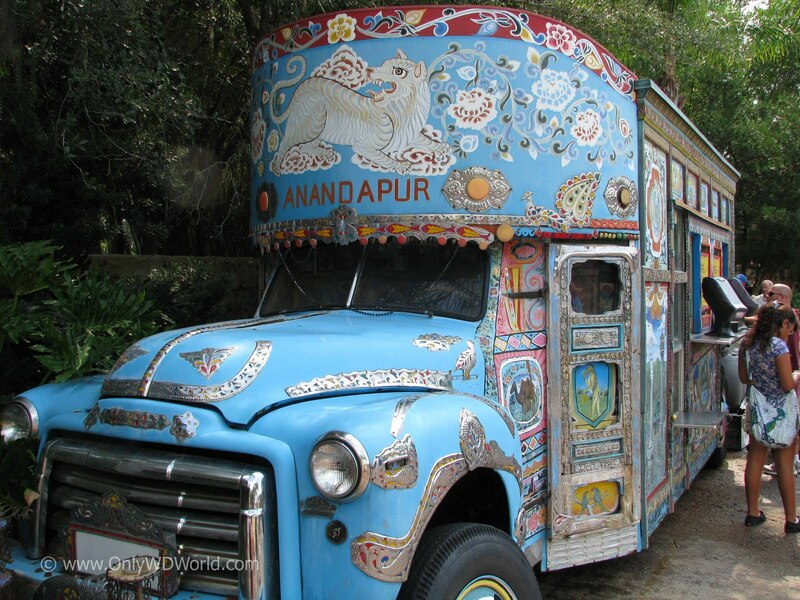 If you are in more of a hurry, you can always grab something to eat at the Anandapur Local Foods Cafe. Above is pictured one of the shops that you can explore while visiting Anandapur. 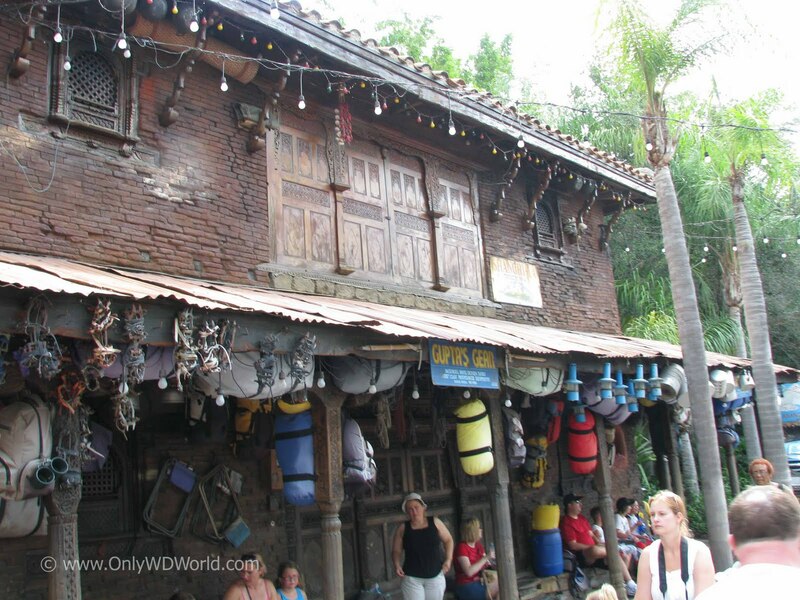 It is called: Bhaktapur Market. 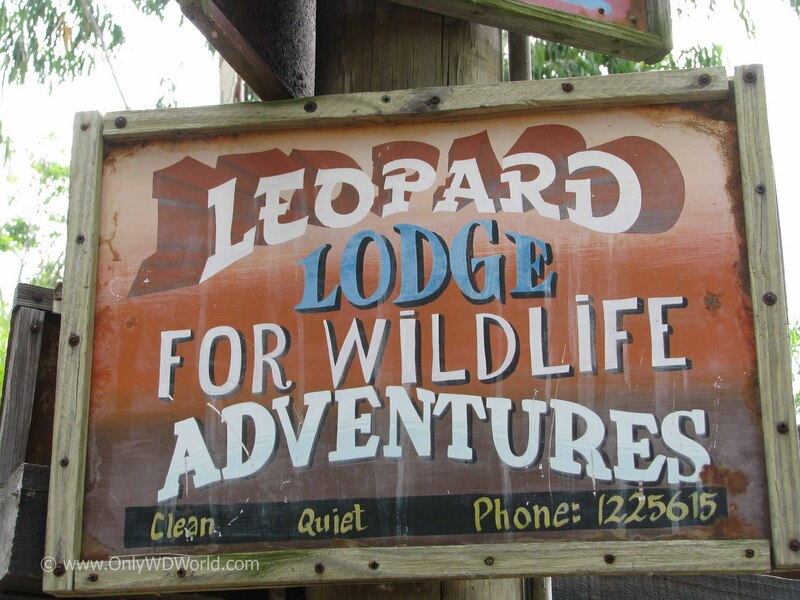 You will see numerous ads posted throughout the Township. Here you can see ads for the Yak & Yeti Restaurant, Himalayan Escapes Tours & Expeditions, and the Arasan Fireworks Factory. 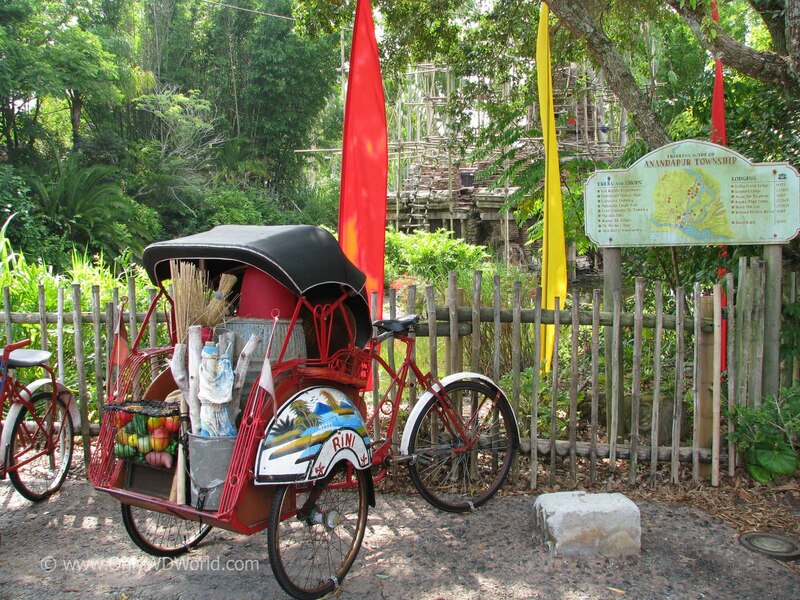 The authentic Bicycle Cab can be found next to the Anandapur Township Map. Even this truck that has been converted into a snack station is decorated in the themes of Anandapur. 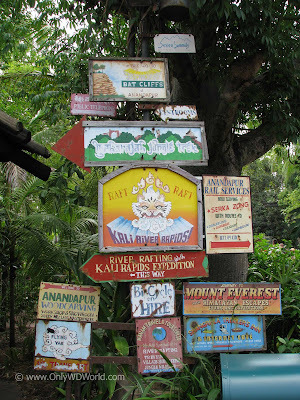 In this mountainous region climbing and trekking gear is featured at many shops. More signs showing the Lodging opportunities in the community. The Disney Imagineers are at their best when there is no "well-known" movie or characters guiding the story lines for an area of their parks. 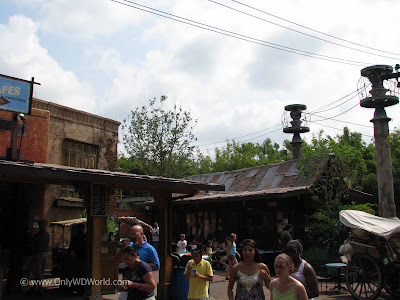 This "blank canvas" lets the Imagineers create a story with depth, that not only describes what you see in front of you, but also creates a history for the region to let you know how this place had come to be. 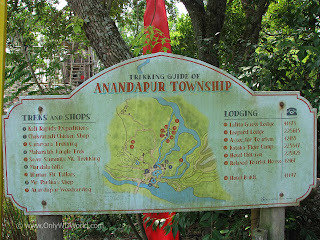 Anandapur Township in Disney's Animal Kingdom remains one of the best executed story lines for the Disney Imagineers. For a brief period of time you are transported far away from central Florida and are truly taken to Asia to experience this town and its culture. 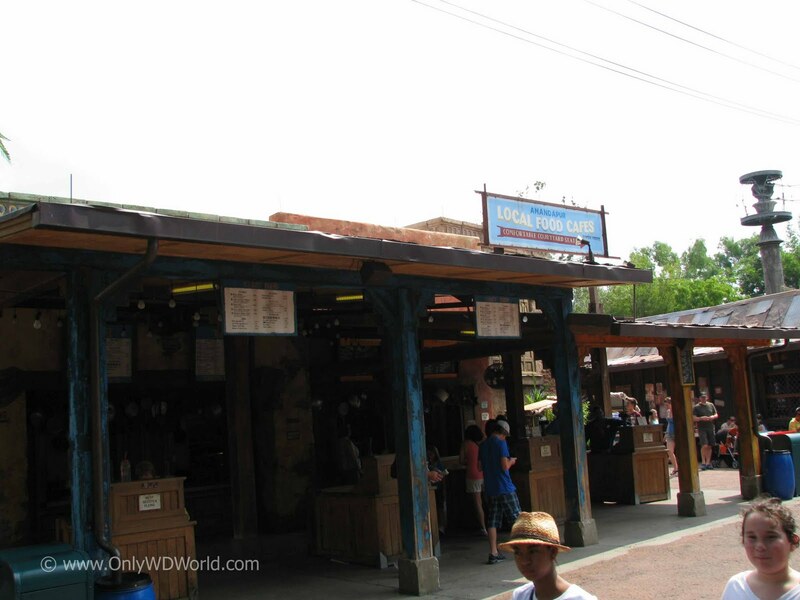 0 comments to "Anandapur Township: Disney World Imagineering Magic Brought To Life"